National is one of the largest wholesale distributors of educational microscopes in the United States. Our comprehensive line of compound,stereoscopic, and specialty microscopes fit a broad range of applications, not only for education but also for laboratory and industrial use. Our products are sold under the brand name "NATIONAL," as well as private labeled for major scientific and laboratory supply companies. Our south-central location in Schertz, Texas - just outside of San Antonio - permits fast, efficient shipping throughout North America. 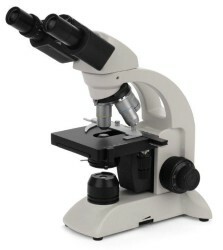 National microscopes are manufactured, to our specifications, by carefully selected and monitored factories in China. All production is brought to one location in China and inspected for compliance before shipment to the U.S. After being received in our Schertz warehouse, every instrument is unpacked and again subjected to rigid QA procedures by our staff of qualified technicians to assure that each microscope complies with the high standards we have set. While no brand can guarantee perfection, this final QA procedure does assure that National microscopes are the most reliable and a top value in their price range.